Voxtrot release an EP called Mothers, Sisters, Daughters & Wives on April 4th, or March 21st of you order it from their website. It’ll “have 5 songs on it, 4 of which have been live staples in the band’s set as of late“. 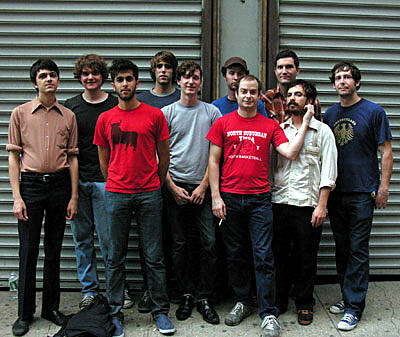 Sparrow House is Voxtrot’s Jared Van Fleet (solo). Gorilla Vs. Bear posted an MP3.